Here's an add on toWednesday's gift....a Crocheted Apple Hot Pad. I had to wing this one -- no pattern, just a picture to go by. Here's my first attempt at writing a crochet pattern, so please excuse if it has any mistakes in it. Doesn't it made a nice add on to my previously posted gift? How cute! 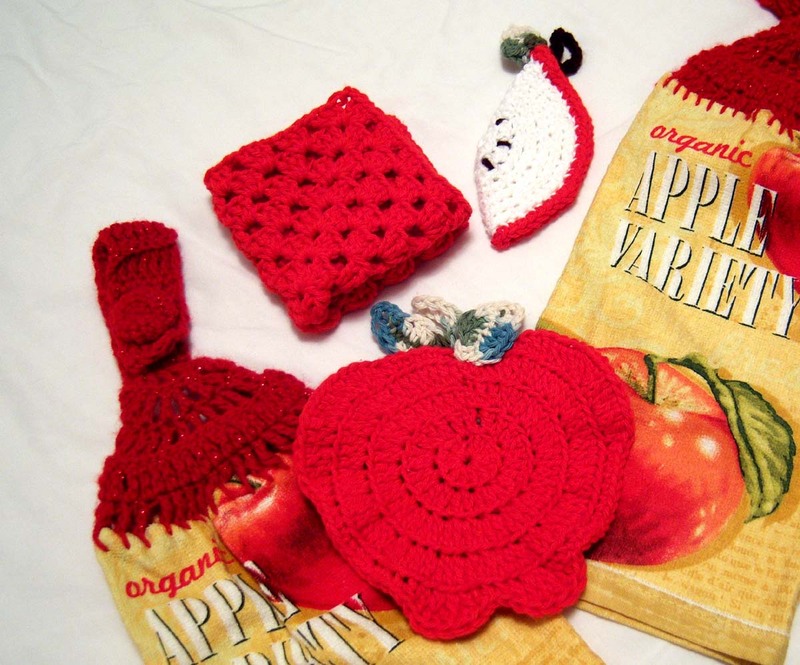 I am redoing my kitchen in all red (and luckily I know how to crochet) - I think I am going to make a few of these :) Thanks for sharing! Yep, that's a great add-on! 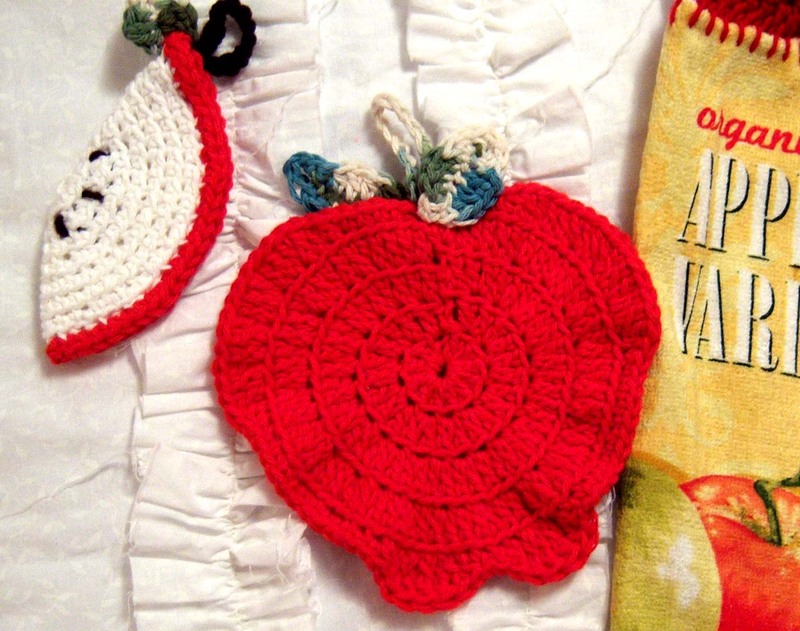 It's adorable, especially with the rest of the apple-themed items.